One of the remaining items on our Family Summer Bucket List is a daytrip to Waco. I’m planning to take the kids back to our favorite haunts – the Mayborn Museum and Cameron Park Zoo – but, I’d also like to give Hawaiian Falls Waterparks a try. It will be our first visit, but I’m guessing you can’t really go wrong with waterslides, a wave pool, and a lazy river. FREE tubes and life jackets. Coolers are allowed (for a $10 fee). Now through August 16, 2013, you can Slide After Dark every Friday night for only $5. Friday Night Slides admission is from 8 – 10 p.m.
Now through Sunday, August 4, 2013, kids can visit Hawaiian Falls for just $10 if they bring a Coke can. Save 50% off a Big Kahuna (adult) ticket (a savings of $13) using this coupon from DFW Kids Guide. Visit hfalls.com for regular park hours and more details. You can also check out the discount page for additional ways to save on admission. 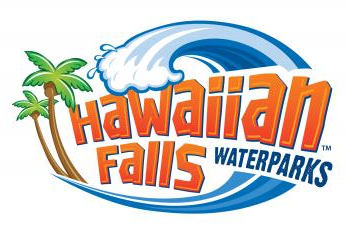 If you’ve been to Hawaiian Falls Waterparks before, I’d love to hear about your experience. Please comment with your tips!